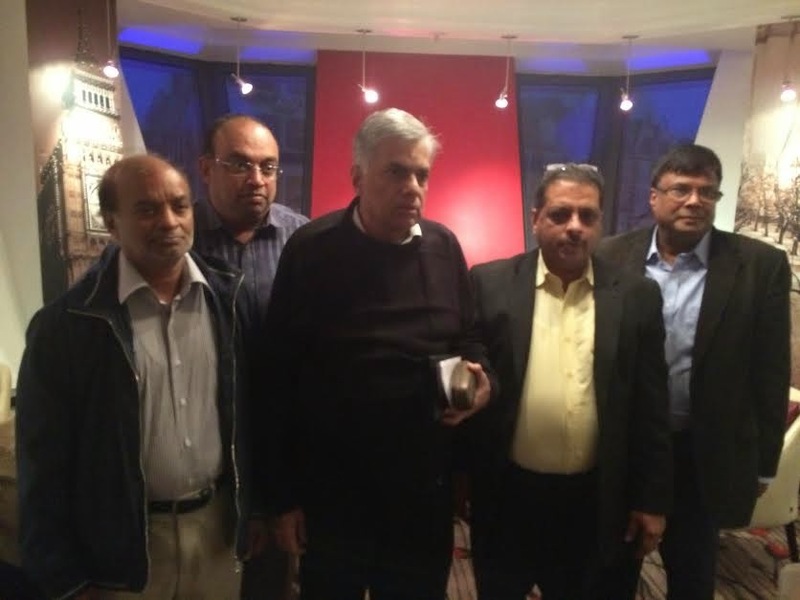 ( October 20, 2014, London, Sri Lanka Guardian) Campaign orchestrated by the wings of the Sri Lankan government against the Opposition Leader Ranil Wickramasinghe is clearly a calculated, diabolical and depraved drive of harassment to gain petty parochial mileage to overshadow the political setbacks experienced by the Rajapakse family. I write as one of those who had the opportunity to meet the Opposition Leader in London. I together with Tamils representing diverse Tamil polity excluding the LTTE met Mr Ranil Wickramasinghe and discussed wide ranging issues centred on the authoritarian governance in Sri Lanka. We were one of the Tamil groups. He was frank and forthright in his comments and reflected the maturity of a seasoned and an educated politician to explain the way forward to overcome the difficulties. He said thirteenth amendment is in the statute and affirmed the need to implement it properly and sincerely. He confirmed his priority is to implement the 13th amendment for the people of Sri Lanka to enjoy the devolvement already available in the constitution. Those who met Ranil had engaged with President Mahinda Rajapakse, former President Chandrika Kumaratunge, and many other leaders of the Sri Lankan polity. The meeting we had did not reflect any sectarian discussions and issues of progressive decay in the governance and being the Opposition Leader, he very well articulated the need to redeem Sri Lanka from its gloom. We came to know through the UNP organisers, that Ranil could not meet the exhaustive demand for meetings with the diverse Sri Lankan community due to time constraints. They expressed their overwhelming enthusiasm that cross section of the Sri Lankan community had met him. According to the report in the Sunday Times, Global Tamil Forum refused to meet Ranil Wickramasinghe on the grounds that he had appointed Sajith Premadasa as the Deputy Leader whom they branded as an anti-Tamil racist. When I contacted the GTF to explain the opportunity missed to meet the Opposition Leader, Suren Surendran was categorical that their decision was justified. I came to know members of the TNGT or BTF did not meet the Opposition Leader. The decaying political thinking of the government only confirm its lack of farsightedness to reason out whey these groups will not meet the Opposition Leader. When I spoke to few from the Muslim and Sinhala community who met Ranil, they all confirmed the same views we held. The anti-Ranil campaign only confirms that the government is panicking. One Sinhalese who was until recently associated with the government was disgusted with the progressing failures in governance and confirmed to me in writing that ‘the Sinhalese, are beginning to say Ranil is a good man, not a hora (thief) and they would vote for Aliya (Elephant) and that the UNP should swim with this tide and strengthen itself to correct the malaise experienced under the present Mahinda rule’.